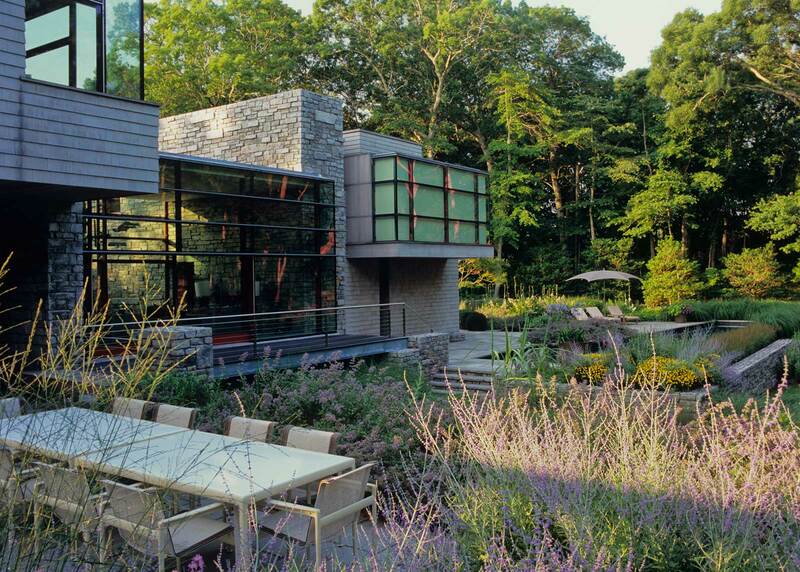 The design for this contemporary house and garden in the estate district of East Hampton creates a series of garden rooms. The 10-acre site sits on Jones Creek, a tidal tributary to Georgica Pond. 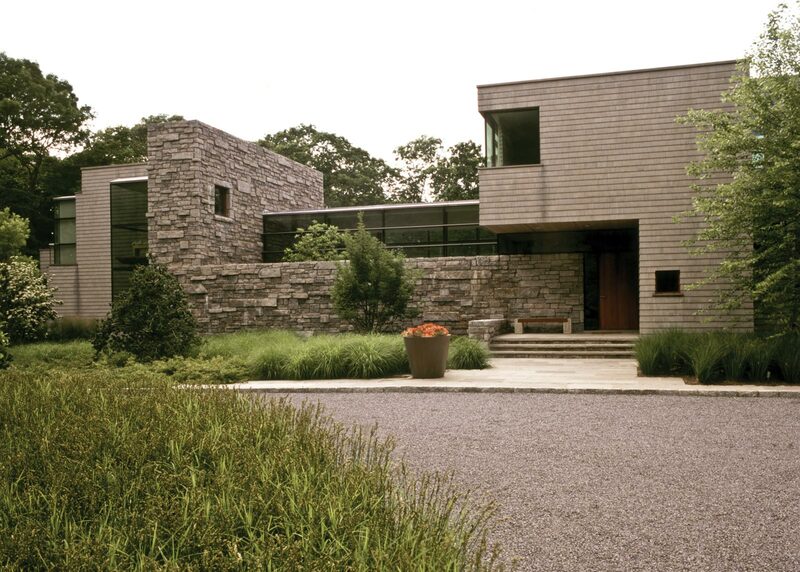 Shrubs and groves of large shade trees including birch, oaks, witchhazel and Japanese white pine soften the front of the home, while hardscape features are arranged in crisp angles that respond to the house’s modern lines. 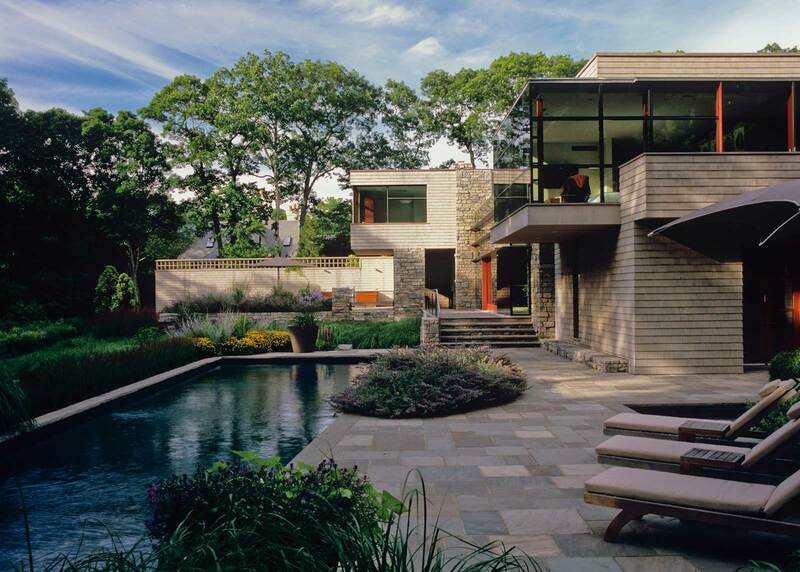 Outdoor terraces and retaining walls incorporate blue-gray New York stone that mirrors the building facade. Curvilinear stone and granite cobble walkways temper the sleek geometry of the house and link the discrete garden rooms of the property. 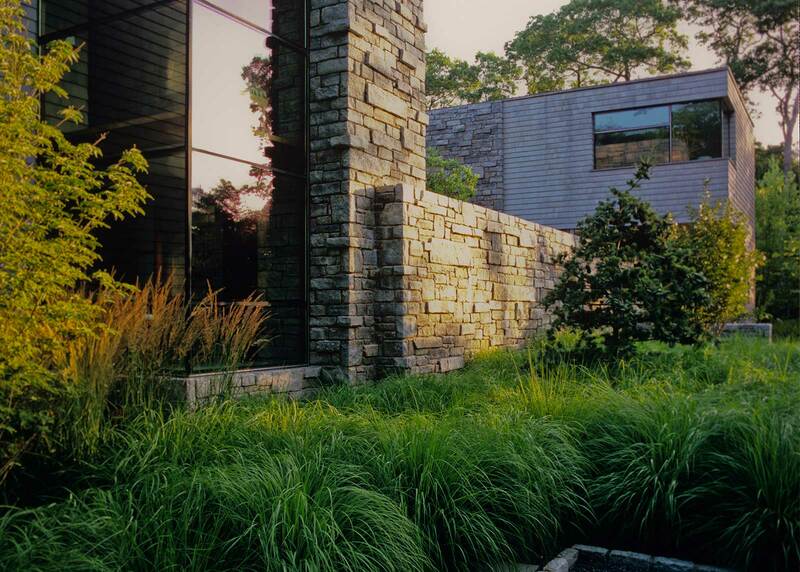 A textured stone wall encloses a courtyard off the living room giving it a sense of privacy, while lush planting in the courtyard allows the creekside landscape to seemingly flow through the living room. 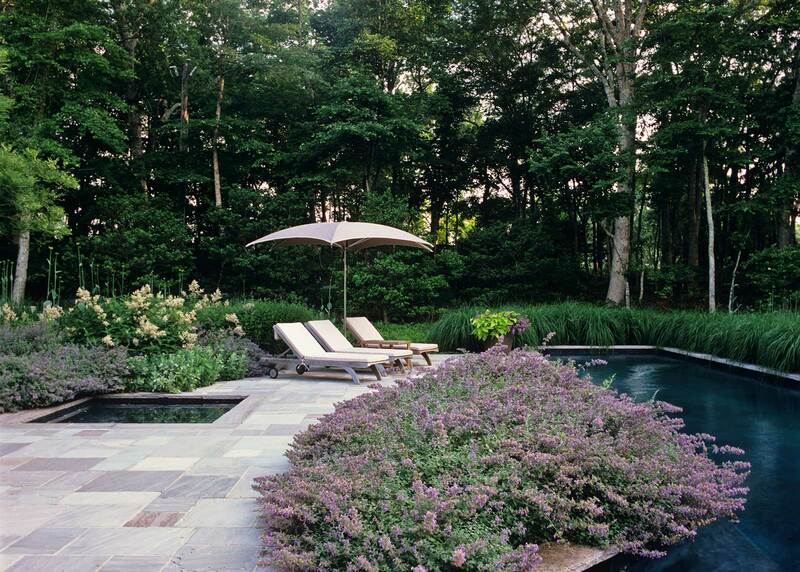 On the pool terrace, a profusion of ornamental grasses and summer blooming perennials envelop a long angular swimming pool and hot tub. A wooden bridge connects this area to an outdoor living room with a fireplace and a dining terrace fragrant with herbs. The surrounding woodlands beyond are enhanced with native azaleas, ferns, and sedge.